:When Leora Ebersole sees the small plane crash in her Old Order Mennonite community, she has no idea it's a foreshadowing of things to come. When the young pilot, Moses Hughes, regains consciousness, they realize his instruments were destroyed by the same power outage that killed the electricity at the community store, where Englischers are stranded with dead cell phones and cars that won?t start. 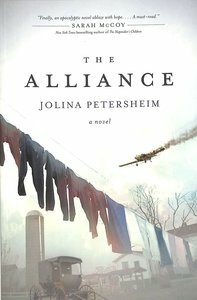 About "The Alliance (#01 in The Alliance Series)"
Order now to secure your copy when our stock arrives. Other edition is available. 9781496402226 0 Available. Expected to ship in 6 to 7 weeks from Australia.